Check this guy out. Got the strength of a human! 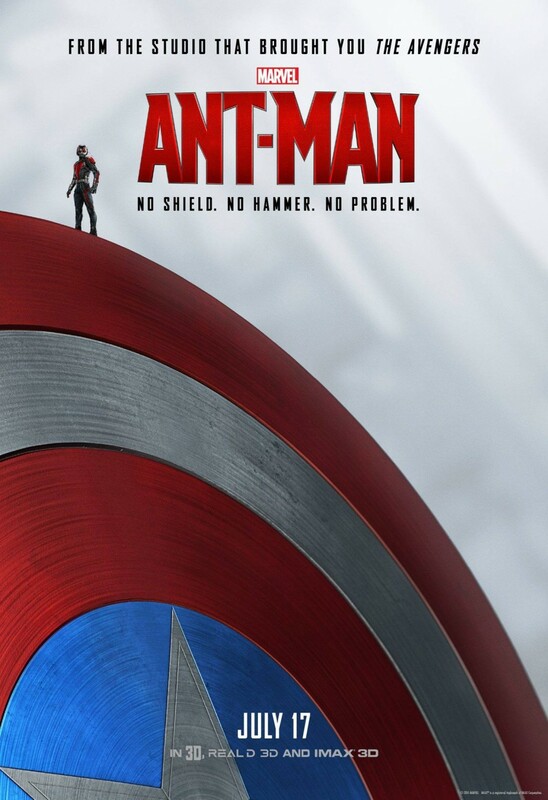 Finally caught Ant-Man (I wasn't going to break my streak of seeing every Marvel Cinematic Universe movie on the big screen, good or bad) and I enjoyed it a lot. I actually thought it was better than Age of Ultron, which I never would have guessed a few months ago. Paul Rudd makes a delightful hero (he has the wit of Tony Stark without the douchiness) and the supporting cast is entertaining, especially Michael Douglas as the original Ant-Man, Hank Pym, and Michael Peña as a stoner who inexplicably hangs out with master criminals despite not really offering anything to the team. This is a lot smaller in scope than other Marvel films of late, which actually works to its advantage. It's essentially a comedic heist movie and the action is heavy on the humor throughout. The Thomas the Tank Engine final battle has to be seen to be believed. As with most Marvel movies the villain is bland and the lone major female character (played by Evangeline Lilly) is underwritten, but there's enough fun and visual style to get away with it. I was one of the many disappointed when Edgar Wright dropped out of directing, but Peyton Reed (the auteur behind Bring it On) actually does a really good job with this. It has just enough style to make the miniaturised action stand out, and one scene in particular (when Ant-Man enters the infinitely small quantum realm) is wonderfully trippy. You get plenty of easter eggs and Avengers cameos for your money, but my favourite inside joke was when Garrett Morris (who famously portrayed Ant-Man in an SNL sketch almost forty years ago) shows up briefly as a cab driver. This movie almost makes you believe the superhero genre isn't imploding, But then you remember Fantastic Four is in cinemas right now. Yikes.